A new dispute has surfaced in the Nepali Congress, the largest ruling party, after party president SherBahadur Deuba formed 29-member Central Work Execution Committee (CWEC) excluding DrShekharKoirala. 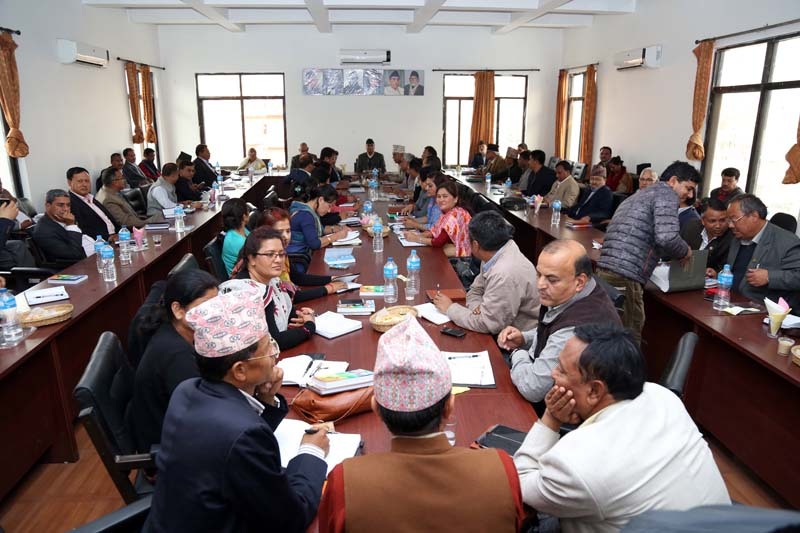 DrKoirala omitted from the CWEC citing that he was not among the 29 senior leaders in the party hierarchy. DrKoirala strongly opposed the move of Deuba while criticising his hand in the controversial appointments of ambassadors and Inspector General of Police. Koirala submitted a report in written seeking clarifications from parry president Deuba on the progress the party made during the one-year tenure under Deuba. Party president Deuba, who has been unable to appoint office bearers even a year after his election to the post of party president, however, managed to form 42 departments. Deuba formed the CWEC on the basis of the list of seniority in a bid to avoid controversy. But when DrKoirala and many other leaders including Gagan Thapa failed tobe included in the 29-member CWEC, a dispute surfaced. Deuba had prepared the list of the leaders to be included in the CWEC consulting with Khum Bahadur Khadka and Ram Chandra Poudel. L:ikewise, a difference surfaced among the leaders as to whether the central committee or the local committee s should pick the candidates in the forthcoming local elections. Party president Deuba insisted that the central committee should fix the names of the candidates while the factions led by Poudel and Krishna Sitaulasaid the candidates should be selected by the local level party committees. It is noteworthy to mention here that NC has not yet formed the local committees based on the new structures of local units. Similarly, leader KhumBahadurKhadka registered a proposal demanding that national referendum should be allowed to decide whether Nepal should be a Hindu state. The party also formed local level election central mobilistaion committee under Ram Chandra Poudel and poll manifesto preparation committee led by Mahesh Acharya.